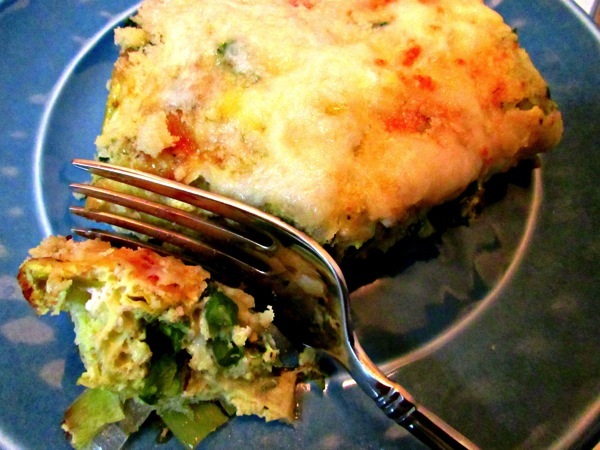 Oh my gosh you guys, this frittata was meatless and SO SO SO good! I made it last Thursday for dinner and lunch on Friday and it was delicious! Normally I would throw some turkey bacon or some protein in the mix, but I wanted to have the leftovers on Friday (no meat on Fridays during lent) so I left it out. Turns out it didn’t need the meat one bit because we loved it. Plus it was easy to make, I got in my upper body workout while it baked, double win! Before I share the recipe though, I have a confession. When I stopped blogging multiple times a day and started aiming for one time a day I intended to make my posts just as personal. Although I’m an RD, I still want the blog to serve as inspiration to others through my own personal journey with health and fitness. I feel like in the last couple months or so I kind of failed at that. Why? I felt like since I was recovering from my injury I wasn’t a proper model of health. Looking back I think that the wrong attitude. As my husband so eloquently put it, “injury or risk of injury is a part of life for those that are athletic.” So the healing and learning part of injury can be just as healthy, if not more so than the overdoing it that got me injured in the first place. So what have I been up to? Lent is a crazy time for those that celebrate it. It invokes a lot of emotions you didn’t know you had attached to whatever it is you chose to let go of. Paul and I let go of eating out when it is just the two of us, but I also let go of judging myself for each and every day I am not able to exercise the way I use to. Instead I am thankful for every walk and every workout I am able to accomplish no matter how small. I’m also trying to let go of caffeine (a better late than never decision) which may have sparked this random emotional post. #coffeeaddict (Would love tips for cutting back!) Regardless I’m going to work on getting more down and dirty with you about real life, because everyone should know that “healthy” is a journey never a snapshot in change. We can always improve in one way or another! What’s better than listening to me get sappy on you? FRITTATA! Let’s do a dance for an easy, incredibly delicious, veggie packed healthy breakfast, lunch, or dinner shall we? Heat oil in a 10 inch oven safe skillet over medium heat. Add asparagus, sprinkle lightly with salt, and sauté until tender, about 5 minutes. Whisk eggs, egg whites, 1 cup mozzarella cheese, and seasonings in a medium bowl. Add egg mixture to skillet and fold gently to combine. Place skillet in oven and bake for 22-25 minutes until eggs are full set. Remove skillet from oven and top with remaining cheese. Broil for 60-90 seconds. Let stand for 10-15 minutes to cool, then serve. Now I’m wishing we had leftovers of this in the fridge, but this baby was gone in two meals because it was so good! This one will definitely be in our regular rotation from now on!